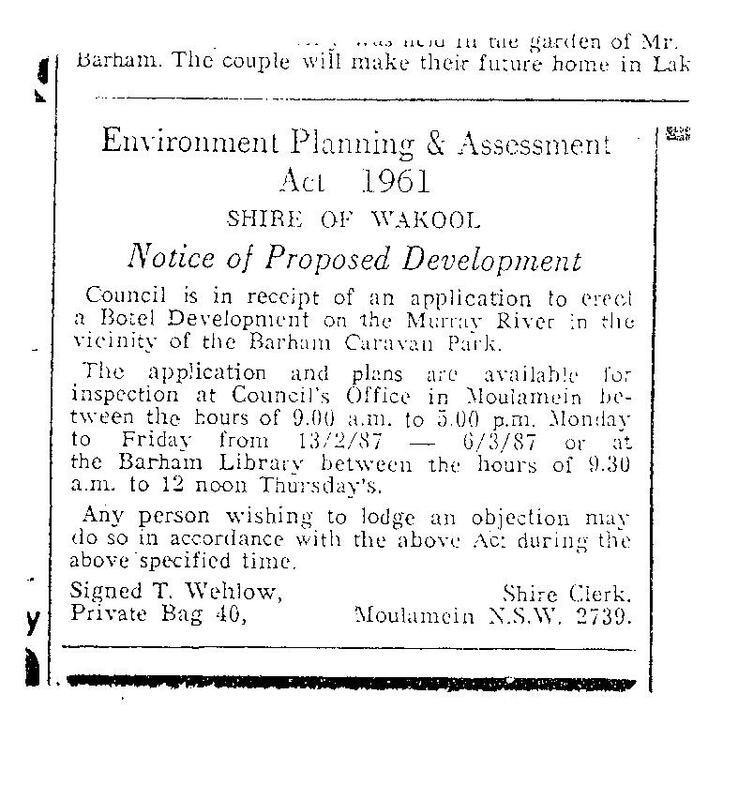 Notice of Development Application of January 1987. Here is a news report about it. 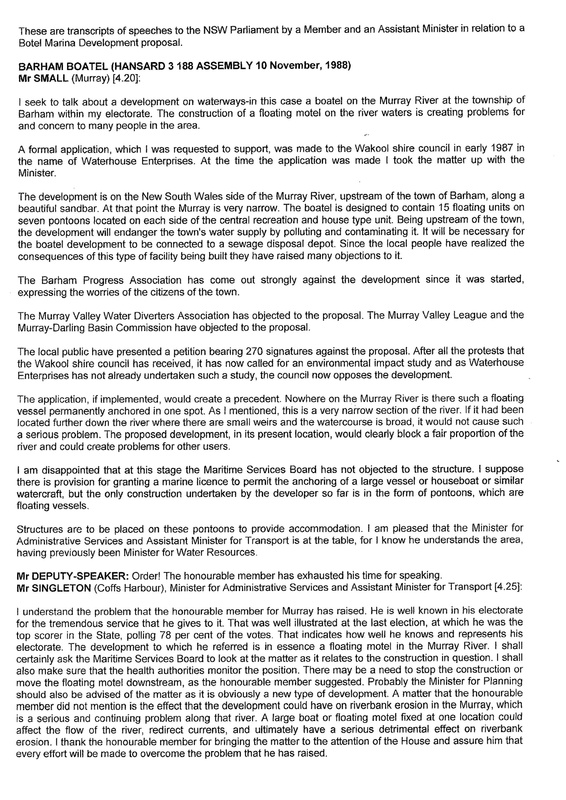 View Environmental Impact Statement no 3. The extensive EIS documents were formulated by NSW Planning and Crown Lands Office. They consumed a very large part 1987. This is the third and final version which was presented to 12 departments and commissions. It was promised that council would present it to the public so that they could form their own opinions. The council however had fed a good deal of misinformation to media organisations and the EIS was kept secret. Council formally refused application 13/88 (property no H4.12) and Waterhouse Enterprises lodged an Appeal in the NSW Land and Environment Court. 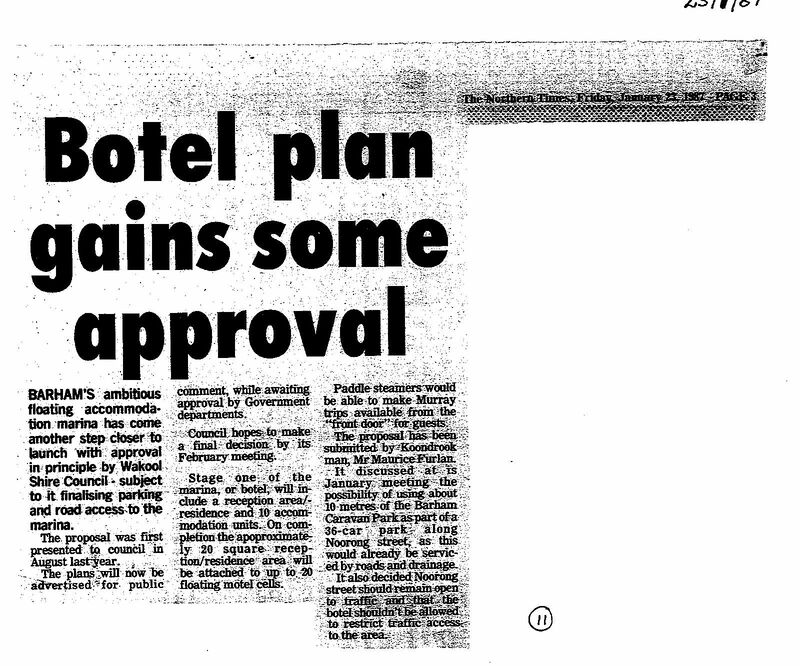 Read what NSW Parliament was told about the botel site in November 1988. 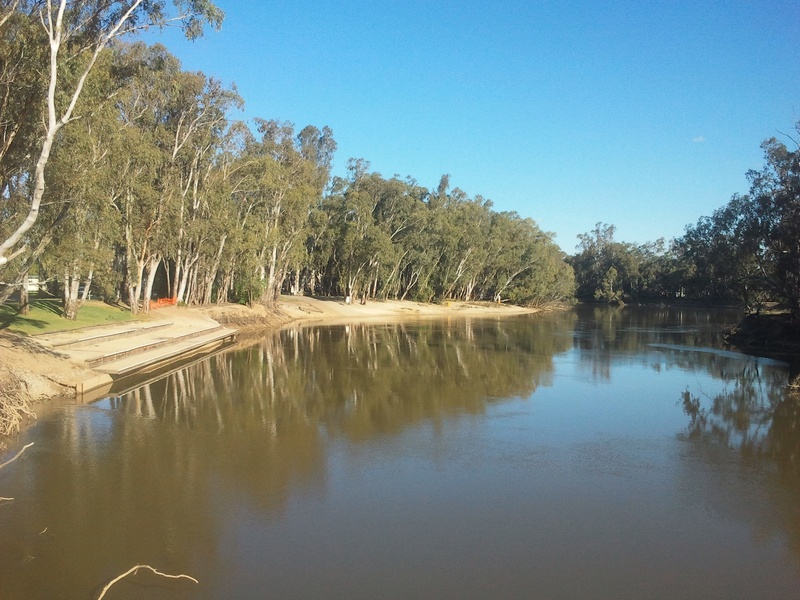 Here is a picture of the NSW riverbank, boat ramp and sandbar today. It is just as it was described to Parliament. The willows have been removed and large amounts of sand have been placed to create a "beautiful sandbar" just as Jim Small MP had told NSW Parliament had existed in 1988. Unfortunately, its creation has changed the river flow and bank erosion. This is something that my botel project was accused would happen if it went ahead. The current work to maintain the NSW to VIC bridge is now costing $17M.